I sometimes use decorative faces on bottles because I like it when things look at you, as if they are ready to come alive and change – like a drag performer putting on makeup. More recently, I’ve become even fonder of large, aggressive flowers. Many of my visual references, garish Russian textiles, Renaissance and Baroque grotesque ornamentation, and Islamic art, come second and third generation as found in paintings and set designs by artists including Matisse, van Dongen, Dufy and Natalia Goncharova. 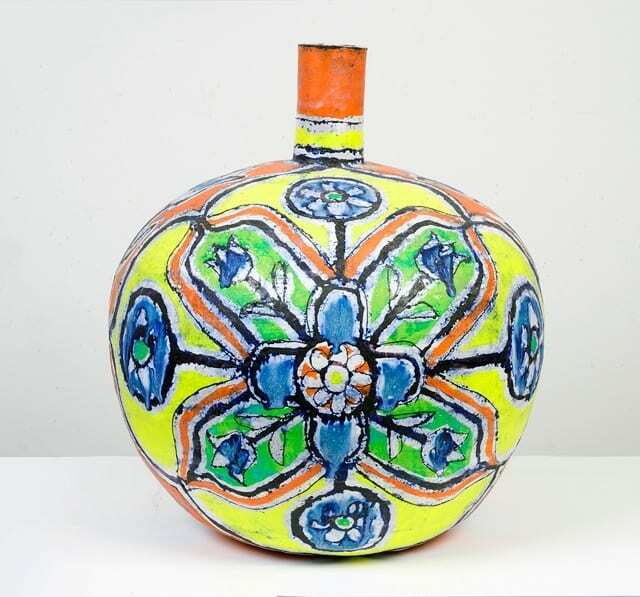 Although I am making ceramic bottles, I do not consider them crafts, rather, they are hybrids of paintings and sculptures. Each bottle is unique and I do numerous drawings and watercolors before I decide on its decoration. In fact, a kind of triple masquerade takes place. 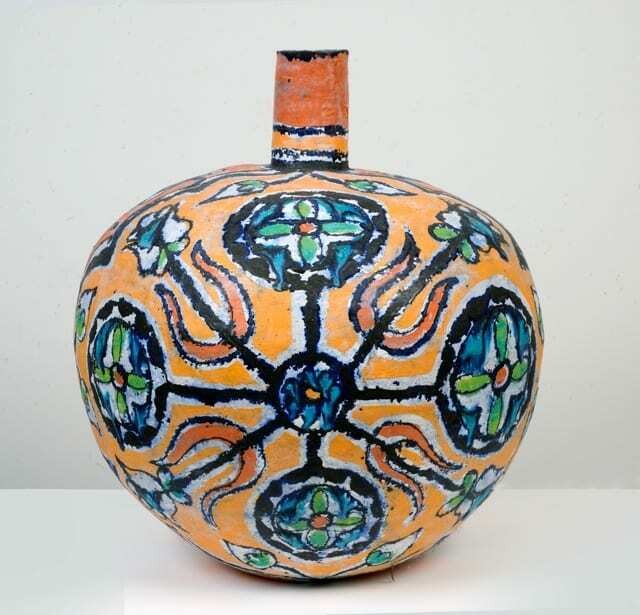 Decorative elements move from the images that inspire them into my works on paper and then migrate back onto my emphatically useless earthenware vessels, I don’t even glaze the insides. 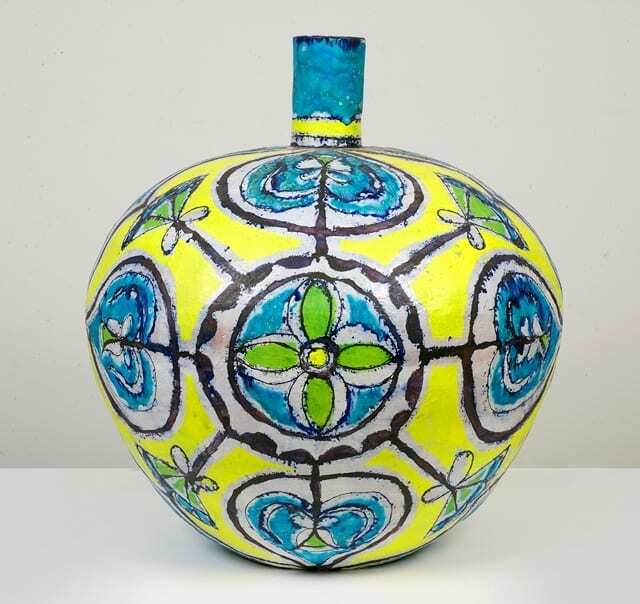 The ceramics are hand-built from coils scraped smooth, low-fired with wax resist and sgraffito decoration using homemade underglazes, and then re-fired with homemade glazes. The dripping reaction of certain oxides with glazes, including a turquoise made from copper carbonate and a blue from cobalt, corresponds to the interpenetration of watercolors touching each other when wet. What occurs instantly on paintings takes hours on ceramics, but moments of transformation are frozen in both. Elizabeth Kley’s works were presented at Volta NY by Seattle based SEASON was formed out of a dual need to have a space dedicated to under-recognized local artists and to bringing shows of national and international artists to a Northwest audience. 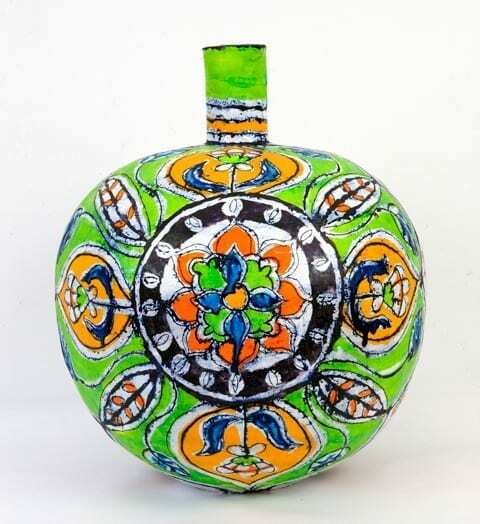  Archived in Contemporary, Creative and tagged Ceramics, Coco Chanel, Elisabeth Kley, Emerge, Islamic Art, Salvador Dali, SEASON, VOLTA NY. Bookmark the permalink.